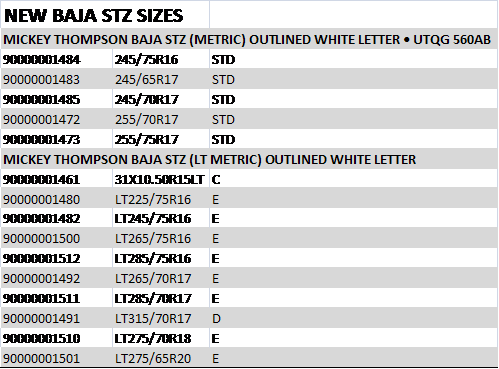 STOW, OH – Mickey Thompson is proud to introduce 15 new popular light truck and metric sizes to the Baja STZ Radial line including 15-, 16-, 17-, 18- and 20-inch sizes. Originally introduced early in 2011, the Baja STZ is one of the best all-terrain tires available today. It offers excellent steering response, superior grip and great all-weather traction making it the perfect choice for work, play or sportsman applications. Max-Trac Tire Co., Inc., dba Mickey Thompson Performance Tires & Wheels, markets racing and high-performance tires and wheels for street, strip, truck, and off-road applications. The company was founded in 1963 by racing legend Mickey Thompson and is headquartered in Stow, Ohio, USA. 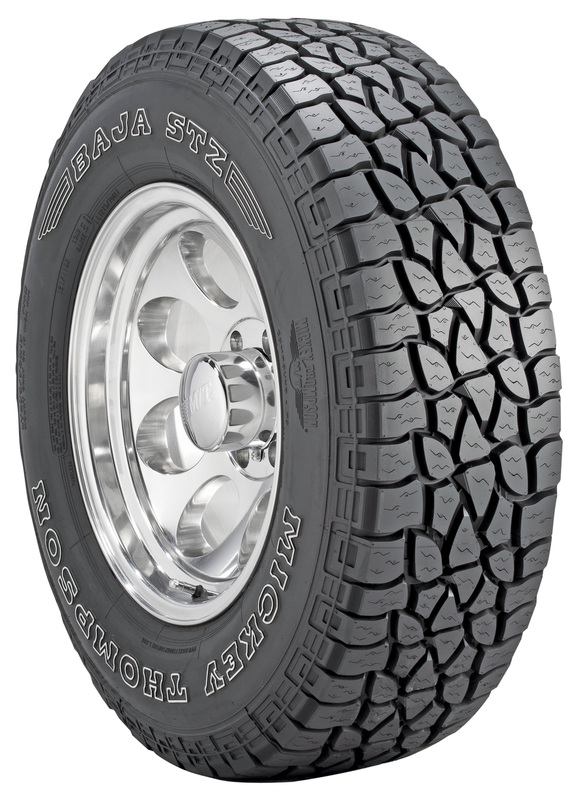 For more information, visithttp:/www.mickeythompsontires.com/.